This religious historical fiction novel takes place in two time periods. One is Revolutionary War America and the other is present day in Hollywood. There is a connection between the two time periods that is known throughout the book but it is solidified with a surprise ending. I enjoyed the stories from both time periods but preferred the Revolutionary War couple because their relationship seemed more real. The current day Hollywood couple were both living with extreme guilt from situations that had happened earlier in their lives and continued to adversely affect their day to day lives. Hamilton and Esther grew up on neighboring farms and their relationship deepened as they got older. But when it came time to choose sides for American's fight for freedom from England, their love became more difficult. Hamilton fought with the Americans and Esther's father continued to support the King and would not allow her to see Hamilton. She was forced to choose between her love for Hamilton and her love and respect for her father. Chloe and Jesse live in Hollywood where she is an actress and he has just sold his first screenplay to a studio. The movie is about a letter that his great great...grandfather (Hamilton) wrote to his love Esther. Chloe gets the role of Esther and she and Hamilton begin a tentative relationship. She is looking for 'happily ever after' and he is consumed with guilt over something in his past. They must decide whether they will move forward or let their pasts affect their future happiness. 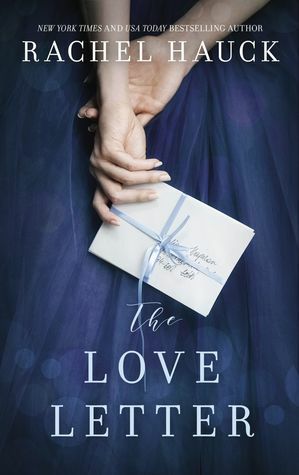 The characters in the two time periods are connected by a love letter and both have decisions to make about life and love and finding happiness. New York Times, USA Today & Wall Street Journal Bestselling author Rachel Hauck writes from sunny central Florida. A RITA finalist and winner of Romantic Times Inspirational Novel of the Year, she writes vivid characters dealing with real-life issues. She loves to hear from readers. She also loves to encourage new writers and sits on the Executive Board of American Christian Fiction Writers. Visit her website to find out more and follow her on Twitter and Facebook. I really enjoy books that make use of two time periods, and the Revolutionary War setting intrigues me. Thanks for the review. I'll be adding this to my TBR.